Founded in 1987 and located in Eugene, OR., Mountain Rose Herbs is a titan in the herbal industry. With a strong focus on sustainable and organic ingredients, this herb and tea company has a core belief that people, plants and planet must come before profits. Fair trade practices, sustainable packaging, high product quality and conservation are key elements at Mountain Rose Herbs. Tea is only the tip of the iceberg here, where bulk ingredients, wellness products, handcrafted body care and other fabulous items give the conscientious customer so much to get happily lost in. In 1987, when students at the California School of Herbal Studies needed supplies, Rosemary Gladstar opened a small herbal business to provide what they needed. She eventually moved to Vermont and the mail order portion of the business was handed over to Rose Madrone, who started Mountain Rose Herbs. Rose brought in her friend Julie Bailey, a herbalist and wilderness guide, who bought the company in 1991 and developed lines of natural products, including teas. From 1991 – 1997, Julie adopted rigorous guidelines for ethical wildcrafting, after seeing the irresponsible harvesting going on in the industry. A strictly organic policy was incorporated into the business in 1999, by Shawn Donnille – an environmental activist and previous Mountain Rose Herbs manager – who revolutionized their operations. From 2001-2005, Julie and Shawn became co-owners of the company and moved the operations to Oregan, in order to be closer to their farms, wild harvesters and processors. They also created a full-time quality control department and laboratory. In 2007, Shawn created the Zero Waste Program which focused on recycling and composting. The Mountain Rose River Project was created in 2009, to help preserve and restore local ecosystems, with the advent of the Alternative Commute Program. In 2010, this herb and tea company became Fair Trade Certified by IMO’s Fair for Life program and their first line of herbal extracts and tinctures was born. Mountain Rose Herbs produced and hosted the Rootstalk Festival in 2011, to give thanks to the herbal community, with herbal education, wilderness conservation and homesteading skills provided. The festival raised money that went towards assisting Cascadia Wildland and their legal battle to save Oregon’s wolf population. A committed focus on sustainable packaging resulted in the creation of new packaging for their certified organic tea line in 2012. They also started the Free Herbalism Project in 2013, which is an ongoing series of free events featuring visiting herbalists. Mountain Rose Herbs became the first Salmon-Safe Certified company in their community in 2014. In 2015, they started using solar panels and an electric vehicle charging station to provide renewable energy for their facility and employees. In 2016 they achieved a Zero Waste Facility Certification and opened their first brick-and-mortar store. Acquiring a small, local company called Terra Firma Botanicals in 2017 meant that Mountain Rose Herbs was able to start producing their own elixirs, extracts and syrups, using sustainably harvested, fresh ingredients. In their effort to reduce their contribution to the impact of the Global Footprint, Mountain Rose Herbs became a certified organic processor through Oregon Tilth Certified Organic. They are also NON-GMO verified, Pareve status Kosher certified, Fair for Life program compliant, Forest Grown verified and much more. To start with, Mountain Rose Herbs offers the basics, such as black, white, green, red and matcha teas. Then there’s chai, herbal and flowering teas. Crafted to perfection for over 20 years, this herb and tea company offers only loose leaf tea, believing that it’s the best way to preserve freshness and to provide an economical product for their customers that reduces waste. Penetrating, with a hint of rich soil and malt. Smooth, with a heavy finish, and little tannin. Sourced from China, this Organic, Fair Trade and Kosher Certified tea comes from stands of protected, ancient growth tea plants in the Yunnan Province, ranging from 500 to 2,700 years old. 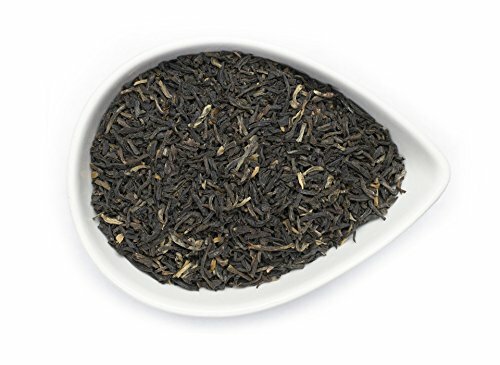 With a deeply penetrating aroma and flavor unlike any other black or green tea, you’ll appreciate the hint of rich soil and malt, which is bold and inviting. Partially fermented, this tea is smooth but with a heavy finish. How about a totally different flavor profile? Coconut Rooibos tea is Kosher and Organic Certified, made with Fair Trade ingredients and considered to be reminiscent of a tropical vacation, due to the mellow mood it invokes. Luxurious flavors come from the red rooibos tea and the fresh taste of coconut – including the flakes. 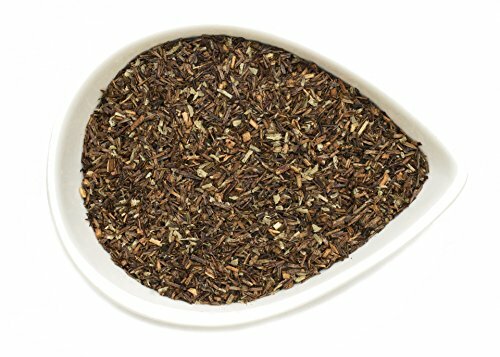 Prepare to feel relaxed and refreshed when drinking this intoxicating tea, as it is caffeine free, floral and bold. Enchanting and alluring with a romantic rose and hibiscus essence. Sharp, tangy, and floral with a scent that lingers. Mountain Rose Herb’s Hibiscus High tea is Organic and Kosher Certified, created from the red flowers of the hibiscus plant, which infuse this tea with a unique and fruity flavor, a hint of mint and a floral scent. Drink it hot, cold or with a slice of lemon, any time of the day. The hibiscus and rose essence is alluring, with a tangy aroma that lingers. 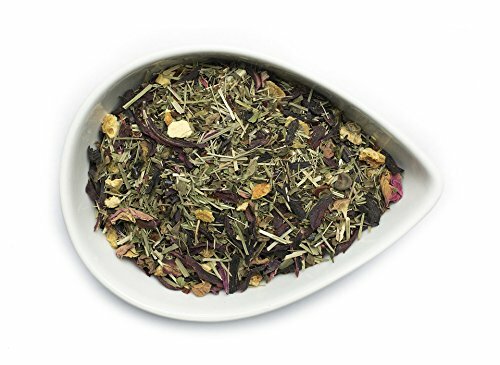 Inspiration and a love for natural ingredients make Mountain Rose Herbs tea a cut above most tea companies, as it’s obvious when you taste their products that they’ve taken time and great care to procure and blend all the wonderful botanicals they use. See for yourself and discover the many delights this herb and tea company has to offer.